Very good quality, a beautiful cream color and i love the braided pattern. A must in every empty corner, add a chair, a floor lamp and it will fill the space nicely making the living more welcoming. 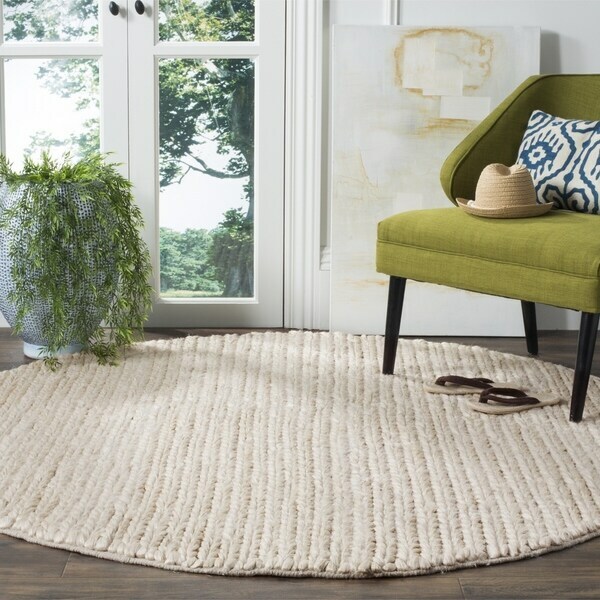 The Natural Fiber Collection of indoor area rugs for the home or office features a wide selection of fashionable rugs made from soft natural fibers. These rugs have been carefully crafted to create a texture-rich collection that is soft underfoot and remarkably decorative. Endless options of natural fiber piles will be sure to provide a clean and organic look and feel to any decor.